“Paysage Antique”, c.1870, most likely published by Cadart (see note below) for the Société des Aquafortistes and printed by Auguste Delâtre (1822–1907). 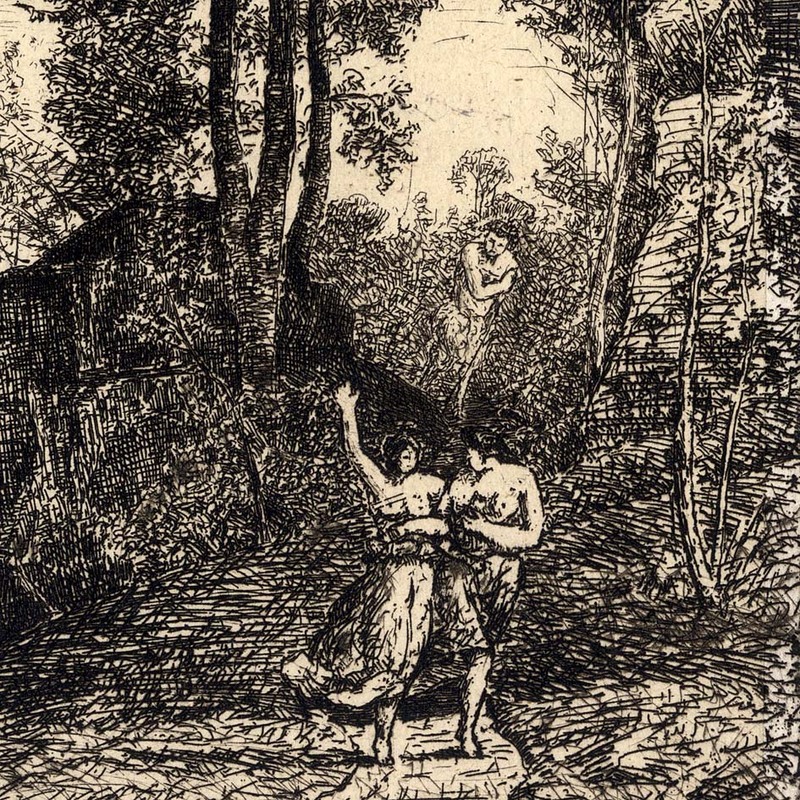 Note: my proposal of who published and printed this etching is based on the artist’s usual practice and his membership with the Société des Aquafortistes. Condition: richly inked impression in near faultless condition with generous margins. I am selling this very poetic and beautiful etching by a pupil of the legendary Corot for AU$82 (currently US$62.01/EUR55.63/GBP48.84 at the time of this listing) including postage and handling to anywhere in the world. 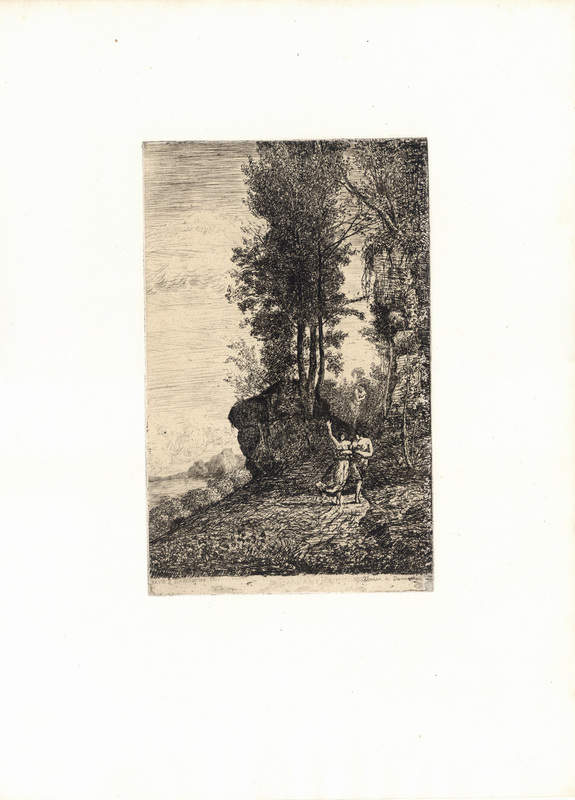 If you are interested in purchasing this print inspired by a classical past, please contact me (oz_jim@printsandprinciples.com) and I will send you a PayPal invoice to make the payment easy. 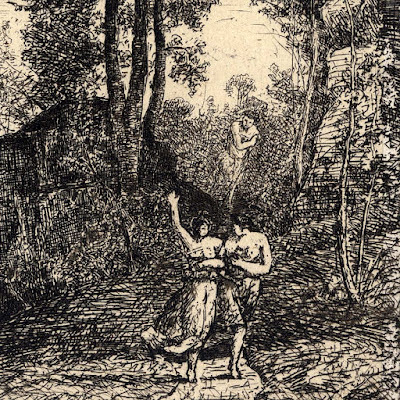 Although this etching leans heavily towards the classical tradition with regard to the portrayed pair of figures in the foreground presented as bare breasted followed in the distance by what I assume to be a satyr (also bare breasted), the free handling of the drawing is far from academic. Indeed, I see much more of Corot— Xavier de Dananche’s distinguished teacher—in the breadth of the approach used to draw the scene. 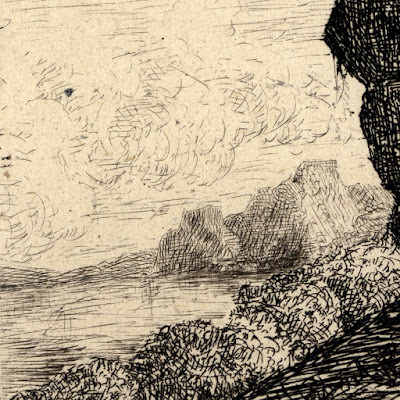 What I mean here by “breadth” is the way that the artist has captured an overall effect of what can be seen rather than representing each landscape feature as being visually distinct and separate to the next. 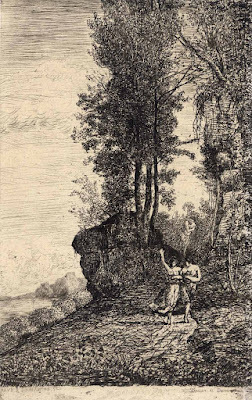 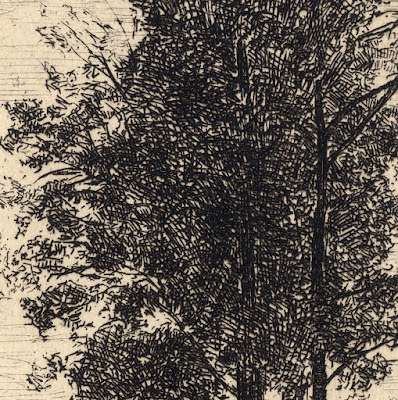 In short, I have a strong suspicion that this etching was inscribed on the plate out-of-doors rather than in the studio in accordance with Corot’s approach of direct observation when creating an image. Not all of the line-work shown in this print, however, is stylistically well-integrated and it is certainly not as integrated as may be seen in Corot drawings or one of his rare etchings or cliché verre prints (see for example the superb cliché verre by Corot that I have listed earlier: http://www.printsandprinciples.com/2017/01/corots-cliche-verre-print-little-sister.html). 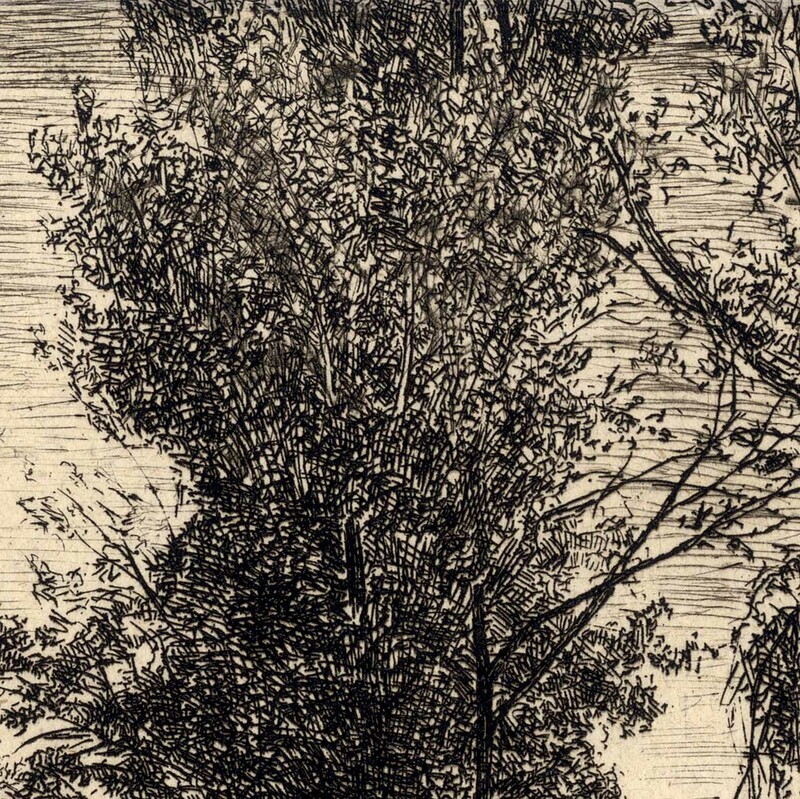 For instance, I see the very close attention to detail shown in the rendering of the far distant trees as being quite different in mindset to the hand that executed the rest of the composition—a case of stylistic inconsistency where I wouldn’t be surprised to learn that the distant features in the print were drawn in the studio.